I am aware that I have used an awkward word (relapse) for this particular blog. But there were three significant events that brought a deeper reflection to the scheduled 30 July 2018 general/harmonised election to necessary thought. But before I delve into those, it would be helpful to explain what relapse means. It essentially means going back to repeating the same mistake over and over again. Or a return to a previous status of ailment. Even if by way of tradition or inability to resolve a problem. But back to the three key events that we must take note of in at least the last three weeks and as they relate to elections in Zimbabwe this month. The first being the published summary of pre-election survey results of the Mass Public Opinion Institute working in tandem with Afrobarometer. The results of which are probably still slightly indicative of a ruling Zanu Pf victory while at the same time offering hope of the opposite being true in the event of a close call first round result call between the opposition and the ruling establishment. But those details are interpretive and best left to those that own the survey to best explain them when they decide to do so. Or are asked to do so in the last days before the election. Sifting through some of the initial data provided by MPOI and Afrobarometer, there is a depressing assessment of how Zimbabweans perceive of their political roles as citizens. This being that a majority do not participate in ‘civic’ activities apart from the hope that their vote will count for something. Very few of the respondents in the survey professed any need to regularly attend collective meetings to deal with an issue that affects everyone (eg. water, electricity and other basic amenities). This is despite an electorally (every five or three years) regular expectation of a chance to change the leadership f the country. Its almost self contradictory until one reads between the lines of the MPOI survey. A lot of Zimbabweans do not want to discuss political and civic issues beyond the confines of an electoral choice. And only for every five years. A greater majority do not know of seek to know who their public representative in the national executive, the legislature or local government is unless they have to. 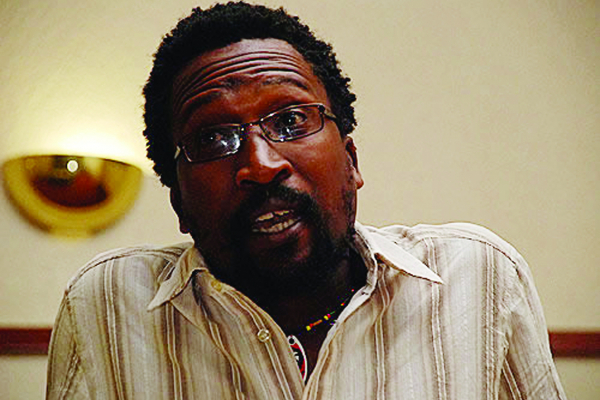 Probably out of what Masipula Sithole referred to as the margin of terror, or put more simply, the margin of fear. The second significant occurrence was when former President of the United State of America, Barack Obama gave the Nelson Mandela lecture in Johannesburg, South Africa. In his lecture, Obama asked a question as to Mandela’s popularity and if anyone could have defeated the latter. And why Mandela never chose to rule by executive fiat despite his tremendous undefeatable popularity (at that time). In Zimbabwe’s scheduled election there is no Mandela. As is the case in most African elections. To paraphrase him, no candidate that exudes ‘ a singular moment, an epiphany’ to greater things to come. But according to Obama, the soon to be first president of a democratic South Africa chose, eventually, to relinquish that soaring popularity for a democratic order. One that despite its flaws, constitutes a democratic and free South African today. The key point having been that democracy does not exist because of elections. On the contrary democracy precedes and defines electoral processes. The third perspective that I wish to highlight is the probable reality that Zimbabwean society is now highly individualised. Not because we actively sought to arrive here. But more because we have lost our ‘thinking caps’. At least a majority of us. Never mind our at least continental reputation as the most educated Africans South of the Sahara. This culture of individualism emerged as a combination of a harsh economic environment, a withdrawing state as led by a neo-liberal and repressive government with the expansion of materially motivated religious movements (big and small). This has also meant our ambitions have also become exceedingly self centered and less about a collective or common good for society. So we frown on things that everyone should safely have such as public transport, health and education. And we strive for those things that are essentially individual, consumerist and perishable. But back again to my use of the word relapse. The amount of anger a lot of young and old Zimbabweans feel about the state of affairs in the country is palpable. In this perceptions are fairly binary and can be highly emotional. And they do not favour any assumptions of a lack of rationality. And in the process we may find ourselves repeating the same mistakes again and again. These being forgetting values and principles that would make this country better. For everyone and not those that would want to lead us.